Review by AllTheBestFights.com: 2015-06-19, good fight between Daniel Straus and Henry Corrales: it gets three stars. The former Bellator Fw champion Daniel Straus entered this fight with a professional mma record of 22-6-0 (41% finishing rate) and he is ranked as the No.13 featherweight in the world but he lost two out of his last three bouts, against Pat Curran (=Straus vs Curran 3) and Patricio Freire (=Freire vs Straus 2). Between these two fights he won over Justin Wilcox (=Straus vs Wilcox). His opponent, the undefeated Henry Corrales, has a perfect record of 12-0-0 (83% finishing rate) and he entered as the No.92 in the same weight class; he beat Aaron Neveu in his last bout. 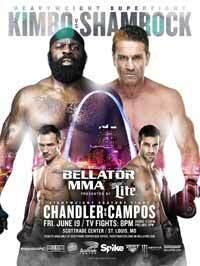 Straus vs Corrales is on the undercard of Kimbo Slice vs Ken Shamrock – Bellator 138. Watch the video and rate this fight!